A simple way to keep productivity high and adrenaline levels low. Sales leaders often ask us about the best ways to reduce the stress they experience on the job, because they have so many things they have to juggle each day. Since April is Stress Awareness Month, this seems like the right time to look at what we believe is the single best way to minimize stress -- not just for sales leaders, but for everyone in the sales department: Use a cookbook! For salespeople, stress typically arises when they make a habit of focusing in on the areas they can’t control – such as the end result of a potentially big deal. A cookbook takes the salesperson’s desired revenue number and turns it into specific to-dos that the individual can execute consistently in terms of behaviors and activities. The stress reduction comes about when they focus on what they can control -- behavior! Thus, a cookbook is a set of controllable actions that, when undertaken daily, weekly, and monthly, delivers a predictable, measurable outcome that the manager and the salesperson both agree constitutes “sales success.” Following the behavioral plan outlined in a sales cookbook is similar to following the recipe in a food cookbook. If you follow all the steps, you will achieve the agreed-upon goal. The daily and weekly cookbook targets should be individualized to each salesperson. The targets should be something the salesperson and the manager create together and periodically review. Common elements typically include dials, follow-up, networking group meetings, networking one-on-one meetings, referrals requested, referrals given, and so on. Simply put, the right cookbook can transform both behavior and performance. A carefully crafted sales cookbook can help new salespeople and those with less experience achieve success similar to that of your top producers. We always emphasize that it’s the manager’s responsibility to help each member of the sales team create and follow the right cookbook. To accomplish this, you must know and understand what drives each person on your team. By co-creating a behavioral plan that ties important personal goals (such as accumulating enough cash to make a down payment on a house) to daily activity, you are helping the members of the sales force learn to manage their daily behaviors -- as opposed to something that they can’t control, such as the outcome of a particular deal. Without a cookbook, they’re focusing only on whether that particular deal will close. That means their anxiety level goes up if the deal falls through – and, in all likelihood, so does yours! Managing daily behaviors with a personalized cookbook makes the job far less stressful for the salesperson -- and, by extension, for you. To experience the greatest impact on stress reduction, you must also see to it that you, the manager, use a management cookbook on a daily, weekly and monthly basis. Yet if we want to be proactive -- which is what we are asking our salespeople to be -- then we should be using a cookbook, one that helps us itemize and control our own behaviors; one that systematizes and breaks down what we know we should be doing each day, each week, and each month. We need a recipe for success, too. When we figure out what that recipe is, and follow it, no task goes unnoticed. No deliverable stresses us because we haven’t paid attention to it and suddenly realize that it’s due. We don’t get blindsided as often. As a manager, if you’re using a cookbook, your stress level decreases. You are going to know ahead of time the things that you need to tackle, whether they’re short-term initiatives or long-term projects. And you’re going to execute them and find yourself ahead of the curve most of the time. 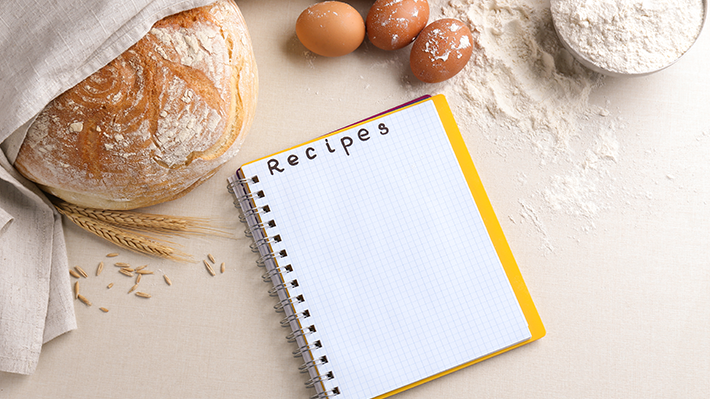 Your cookbook is likely to require a little time to set up and perfect. Invest that time. Tweak it until it feels right. You’ll know the cookbook is working for you when you feel comfortable building your daily and weekly calendar around the behaviors you’ve identified. You’ll find you won’t spend as much time and energy dealing with crises that leave you feeling blindsided -- and you’ll no longer feel quite so stressed at the end of the average working day.